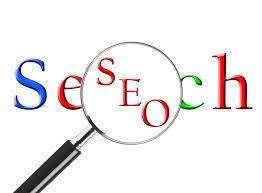 Web Optimisation or search engine optimisation (SEO) enables potential clients to find your website on search engines. This is an important part of web development and maintenance, quite often overlooked by web developers. Research has shown that over ninety percent of search-engine visitors normally do not go beyond page one of the results. Because of this small gap to successfully get to potential customers and to reach your targeted audience, it is unwise to publish unplanned web content. Search engine optimisation is a technique to help quality of web traffic your site produces from organic search engine results for keywords and phrases. Given that search engines are dependant upon algorithms to rank websites, our content writers will create web content to help improve your websites rank in search engines. Search engine optimisation consists of making use of not just keyword or phrase rich content material and blog postings but also clever back linking from trusted websites. At AHB IT Solutions our SEO experts will work with you to create natural keyword rich content so you can maintain high ranking and consistency in the geographical regions you target. There is no point in investing in a well designed website that fails to yield good traffic. Good design and functionality does not mean anything if search engines do not deliver visitors your way.